If India's democracy has to thrive and it aspires to create independent and autonomous institutions of the nature of the Federal Reserve, it needs to go the legislative route. At Independence, India made the brave choice of borrowing democracy from the West, but also made the grave mistake of adopting the colonial institutions from the British. As a result, every national institution remains tightly tethered to the equivalent of the Crown-the government of India. Exposing them to use and misuse of the whims and fancies of the government of the day. Democracies thrive on the independence of regulators, especially in countries such as the US. But India's regulators continue to rue that lack of 'independence'. This dichotomy is at the heart of the ongoing tussle between banking regulator Reserve Bank of India and the executive, the Government of India. 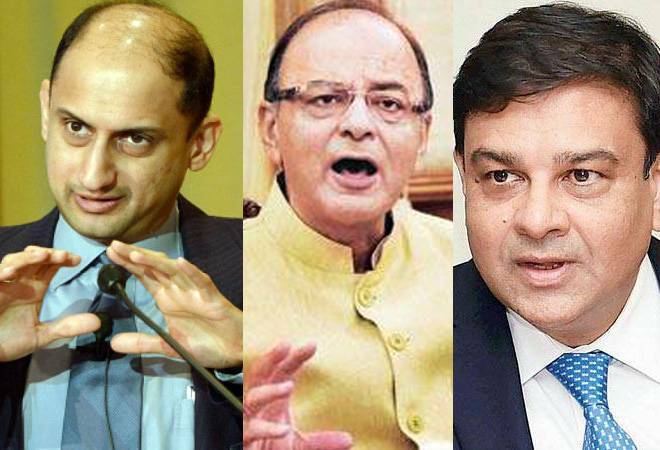 Particularly, after RBI deputy governor Dr Viral Acharya's explosive speech at the AD Shroff Memorial Lecture in Mumbai where he said RBI "plays a test match" unlike the government which plays T20 cricket. And that the central bank aims to "to win each session but importantly also survive it so as to have a chance to win the next session, and so on". "Governments that do not respect central bank's independence will sooner or later incur the wrath of financial markets, ignite economic fire, and come to rue the day they undermined an important regulatory institution," he added. But as much as Acharya and the RBI idolise, think and want to act like the US Federal Reserve, the architects of our central bank did not intend to give the RBI the autonomy that it craves for. Remember, the RBI Act of 1934 has its origin in the British era. In fact, the word 'autonomy' does not exist in the RBI Act. The word 'independent' is in the context of the nation's independence, not RBI's. Members of the Fed are appointed by the President of the US but confirmed by the US Senate; RBI's Governor and board members are appointed by the government of India. RBI's Governors and Deputy Governors can be removed by the government of India; Fed's members cannot be removed by the President or any executive of the government. RBI board members are appointed for a 3-year term; Fed's members are appointed for a 14 year term to give them a long term horizon of the US economy. RBI is funded by the government of India; Fed draws no funding from the US Congress. Fed's monetary decisions require no vetting from the President or his executive team; RBI's do not either, but the government exercises significant control through its own appointees. And unlike the Federal Reserve Act which swears by its independence, the RBI Act clearly states: "The Central Government may from time to time give such directions to the Bank as it may, after consultation with the Governor of the Bank, consider necessary in the public interest." "Subject to any such directions, the general superintendence and direction of the affairs and business of the Bank shall be entrusted to a Central Board of Directors which may exercise all powers and do all acts and things which may be exercised or done by the Bank," the Act adds. If India's democracy has to thrive and it aspires to create independent and autonomous institutions of the nature of the Federal Reserve, it needs to go the legislative route. But that requires a political will of the highest order to sacrifice control. The kind of maturity that is missing in our democracy right now. But for the moment the RBI's craving for 'independence' is wholly and totally misplaced.